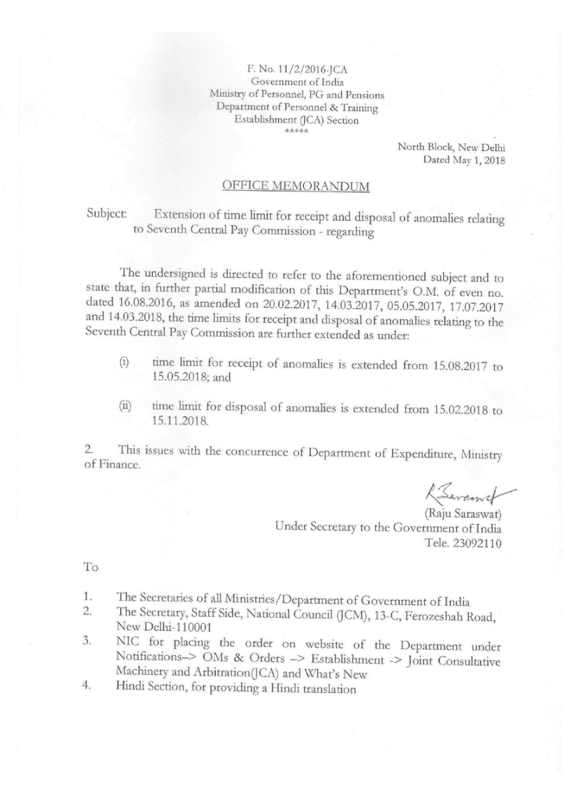 DoPT has extended the time limit for receipt and disposal of anomalies relating to Seventh Central Pay Commission. The time limit for receipt of anomalies is extended from 15.08.2017 to 15.05.2018 and time limit for disposal of anomalies is extended from 15.02.2018 to 15.11.2018. (ii) time limit for disposal of anomalies is extended from 15.02.2018 to 15.11.2018. 2. This issues with the concurrence of Department of Expenditure, Ministry of Finance.